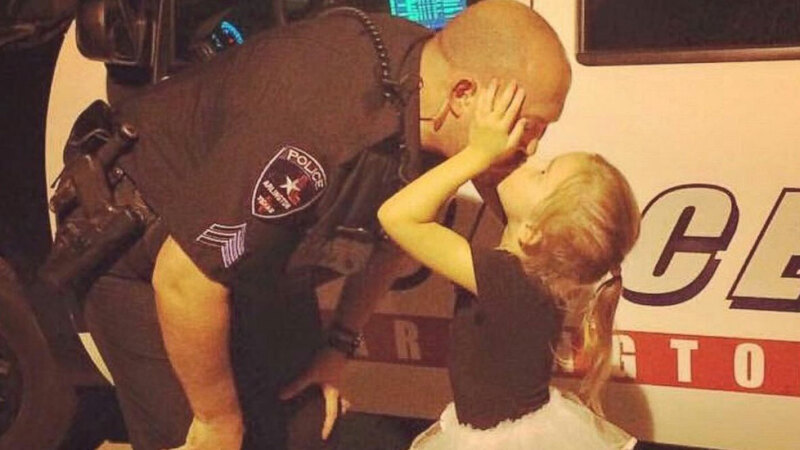 ARLINGTON, Texas -- An adorable photo of an on-duty Texas police officer caught giving his little girl a smooch is warming hearts all over the Internet, ABC News reports. The picture captured Sergeant J. McRay, who, after having his dinner on the job, received a visit from his toddler daughter. Sgt. P. Rodriguez, public information officer for the Arlington Police Department, told ABC News that it was 7:40 p.m. one night earlier this week when McRay's 4-year-old finished ballet and wanted to kiss her daddy.